industry for dying in the color red. The decoction, tea and tincture (made with water or milk) are used for diarrhea, enteritis, and inflammation of the mucous membranes in the mouth and bleeding gums, canker sores, dysentery. The tincture is good for sealing hemorrhages, for leucorrhea, and for fevers. Diluted it makes a good mouthwash and gargle for sore throat. The root is used for chronic and infectious catarrhal enteritis, quinsey, epilepsy, toothache, dysentery, and jaundice. Especially helps intestinal problems where diarrhea and constipation alternate. Externally, used to help heal wounds, sores, ulcers, bruises and relieves pain. Culpeper claims that this herb expels any venom or poison, or the plague, other contagious diseases, as pox, measles; even cures the “French pox” he notes one writer, Andreas Valesius, to declare. 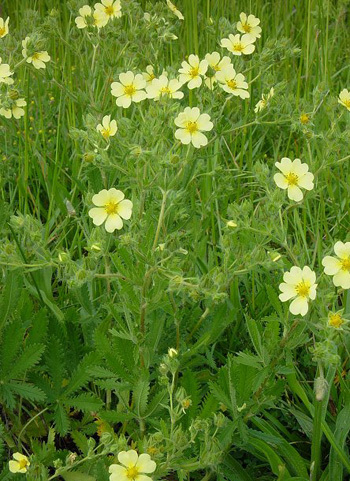 As an antispasmodic, it can relieve abdominal cramps and painful periods; but it is generally mixed with balm leaves and German chamomile flowers to make a tea for that purpose. The tea is also useful as an external astringent for skin problems, jaundice, malaria, cystitis, palsy, shingles, itch, sciatica, gout, rheumatism, arthritis, quinsey, epilepsy, toothache, bleeding gums, mouthwash, fever, and throat sores, hoarseness, cough, ague, colds, flu, canker sores. When added to bath water, it will stop bleeding from piles, boils, ulcers, sores, and wounds.